BBC and ITV confirm plans for new UK streaming service BritBox - so is it out to rival Netflix? Channel 4 and Channel 5 are also in talks about joining the venture, called BritBox, which could launch later this year after already running in the US. The subscription price has not yet been revealed, but reports suggest it could cost £5 a month. What would subscribers access on BritBox? 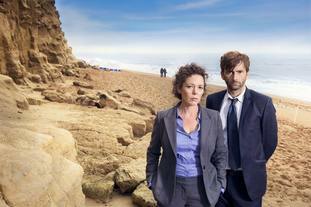 BritBox would feature British boxset favourites from Broadchurch to McMafia, as well as shows commissioned especially for the service. Talks on the new service have been taking place for over a year. The BBC and ITV said they have enjoyed success with their BritBox streaming service in the US. Is BritBox a rival to Netflix? ITV chief executive Carolyn McCall said BritBox would not be competing directly with Netflix, but would be “complementary”. “Netflix is global … when we’re creating content, we’re creating it for the UK … We’re not a substitute to Netflix – we’re complementary to Netflix,” she said in a media call. The service would be “very good for British creative industries, because we are putting more money into the British creative industry”, she added. What will happen to ITV content on other streaming services? Ms McCall said ITV would honour existing agreements with other streaming services which pay for some of the broadcaster’s back catalogue. The announcement comes as the BBC hopes to extend the length of time its boxsets are on iPlayer to beyond the current 30 days. ITV Hub also has its shows on the service for around a month and the two services would continue with the launch of BritBox. What's the background to the service? The plans have been unveiled 10 years after the Competition Commission vetoed a similar joint service, saying that British viewers “value” UK programmes and “do not regard other content as a good substitute”. That decision has been criticised, with global giants such as Netflix and Amazon having since made their mark on British homes and demonstrating an appetite for US shows. Discussions between the broadcasters are “in the concluding phase”. BBC Director-General Tony Hall said the streaming service would be “truly special”. “A new streaming service delivering the best home-grown content to the public who love it best,” he said. What has Ofcom said about the service? A spokeswoman for broadcasting regulator Ofcom said: “We want to see broadcasters collaborating to keep pace with global players, by offering quality UK content that’s available to viewers whenever and however they want to watch it.